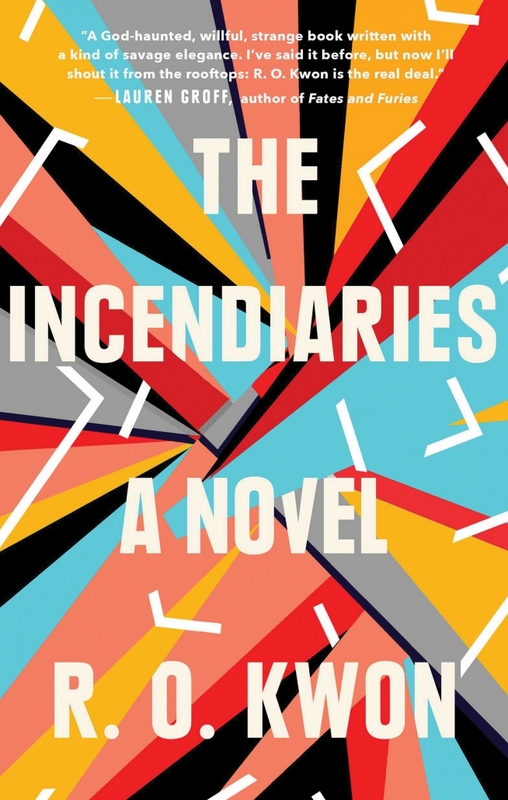 R. O. Kwon’s eagerly anticipated and ecstatically reviewed debut novel “The Incendiaries” is a classic love triangle set on a prestigious American university campus that ultimately ends with a violent act of extreme terrorism. Kwon’s novel may have shades and echoes of other American campus-set novels like Donna Tartt’s “The Secret History,” Bret Easton Ellis’s “Rules of Attraction” and Marisha Pessl’s “Special Topics in Calamity Physics,” but “The Incendiaries” is a truly zeitgeist-capturing novel for our current moment about millennial ennui, angst and disillusionment. It tells the story of a trio of students — Korean, Korean American and American — rebounding off each other and dealing with love, lust, infatuation, grief and religious faith. Phoebe Lin is a former child prodigy and pianist dealing with the death of her mother and estranged from her pastor father. She abandons her dreams of being a pianist when she realizes she isn’t quite good enough to be among the best in the world. Now directionless she turns into something of a social butterfly and party animal and eventually becomes easy prey for a nascent cult leader. John Leal is a former activist who helped smuggle North Korean refugees through China until one day he was captured by soldiers from the North and thrown into a North Korean gulag. Leal’s experiences in the gulag turn him into a fundamentalist, and after his release he returns to America and starts recruiting. Will Kendall was raised as a fundamentalist Christian but lost his faith after his mother became ill and struggles to fill the void left by the absence of religion. During their first semester, Phoebe and Will meet and start a relationship in which Will’s infatuation with Pheobe takes the place of his former all-consuming religious belief. The novel explores how Phoebe and Will are drawn into John Leal’s cult of Jejah and where this leads them all. The novel begins with an act of terrorism on American soil and then flashes back to unravel the strands that lead to this devastating attack and reveal which of the three main characters are involved and how this came to be. Kwon writes with a clarity and precision that captures the fragile inner lives of her characters. “The Incendiaries” is a novel about the intimate violence and inherent savagery of relationships from a brilliant new voice in fiction.